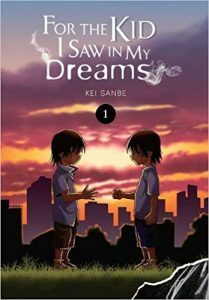 MICHELLE: There are a few digital volumes from Kodansha that I’ll be reading, but my official pick is the debut of For the Kid I Saw in My Dreams. Melinda reviewed it in our latest Off the Shelf column and I am definitely intrigued. SEAN: I’ll be going for another in the Monogatari Series this week. Koimonogatari is a bit of a fakeout, allegedly about Senjogahara trying to stop the possessed Sengoku but in reality it’s a character study of minor-villain-returned Kaiki Deishuu. The novels not from Araragi’s POV are always great. ASH: Like Michelle, For the Kid I Saw in My Dreams is my pick this week. I enjoyed Erased, so I’m curious to read another dramatic mystery by Sanbe. ANNA: I agree, For the Kid I Saw in My Dreams is intriguing to me this week. MELINDA: I’m definitely on board with all the interest in For the Kid I Saw in My Dreams, which I reviewed in last week’s Off the Shelf, but I feel like it’s my job to say, “CLAMP still exists” so I’ll make the new omnibus edition of Wish my pick for the week. I’m looking forward to a new translation, and Dark Horse always does a beautiful job with these omnibuses, so I’m sure it will look fantastic.